Microsoft shut down its Xbox Entertainment Studios in July to focus on gaming instead, but the studio might not be fully dismantled. 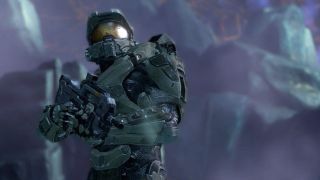 Word has it Xbox Entertainment is looking for a buyer, and Warner Bros. is among the preliminary candidates, according to The Hollywood Reporter. Warner Bros. already bought a stake in one struggling gaming entertainment company - Machinima - this year, and sources told the site that the studio could merge Xbox Entertainment and Machinima together. Warner Bros. wouldn't confirm anything, but a spokesperson said the company is constantly having conversations about potential business opportunities and that "a conversation is just that - a conversation." The Reporter's sources did caution that a deal between Xbox Entertainment Studios and Warner Bros. is relatively unlikely. But regardless, it's great to hear that Microsoft might be considering selling XES rather than dismantling it and shuffling some of its talent around the company (while inevitably letting others go). This also bodes well for the many projects Xbox Entertainment Studios was working on - from its adaptation of the Swedish Real Humans to an interpretation of the pen-and-paper RPG Deadlands and a hybrid stop-motion show from Seth Green. Microsoft previously confirmed it would continue to deliver the promised Halo shows and original NFL content despite XES's shuttering, but it would be great to see the bevy of other content in progress at the studio live on somewhere else.